Your pricing strategy could be the single biggest factor that determines the success and profitability of your business. Finding the ‘sweet spot’ that matches price with customer value with product and service specification is a constant quest in most businesses. Imagine that you have to buy a dinner set. You are faced with two choices. One is a set of 24 pieces with dinner plates, bowls and dessert plates (let’s call is Set A). The other, set B, is the same style and is a set of 40 that also has cups and saucers. Which one do you think is the more expensive? Set B seems the obvious choice. Now what if some of the cups and saucers in Set B were broken? There are actually 31 intact pieces, more than Set A still, but 2 of the cups and 7 of the saucers are broken. Which one would you be prepared to pay more for? In this experiment conducted by Professor Christopher Hsee, a behavioural science and marketing expert at the University of Chicago Graduate School of Business, Set A (with 24 intact pieces) was judged more favourably than Set B. Participants were prepared to pay more for Set A than Set B, even though they would get more intact pieces in Set B. What would happen to your profit if your customers were willing to pay more money for 25% less product? The example in figure 1 below shows that the retailer selling Set A’s will make 37% more profit for selling less physical product than the retailer selling Set B’s. How many times have you bought a product and only used a small fraction of the full potential of that product? A copy of Microsoft Office home and business is $379, and a large number of people won’t scratch the surface in terms of functionality available. Google offer their stripped down “lean” versions online for free. ‘Lean’ thinking originates from the manufacturing world and focuses on eliminating waste from the process to improve quality and reduce their cost of production. Companies such as Toyota have used it with excellent results. Over the past 10 years or so it has been adopted by service companies and has introduced a customers perspective. It’s main underlying principle is to manufacture goods or deliver services that only deliver value as defined by the customer. i.e. Don’t do anything the customer doesn’t value. Eric Reis has built on this principle with his book “The Lean Start-Up” which introduces the concept that launching anything more than a “minimal viable product” is a major source of waste, and the cause of many business failures early on in their development. This principle doesn’t just apply to start ups. I believe that Apple use this strategy to good effect. 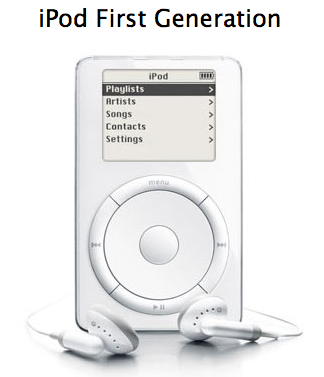 When I look back at what I paid for my first generation 10 GB iPod, I’m pretty sure this was close to a “minimal viable product” as Steve Jobs could live with. The car industry has been using this approach to manage their cost of production. All cars have surfaces that you can see and surfaces that are hidden. Respectively these are “A” and “B” surfaces. Commonly the B surfaces are downgraded with lesser quality finish and lower cost materials to save cost. Lets take a look at your “A” and “B” surfaces. Grab a pen and a stack of post-it notes (ideally two different colours) or paper. Think about your best selling product or service and write down a list of all of the major features or components that your customers see, touch and interact with as part of their experience. We’ll call these your “A” surfaces. Now think about each one from your customer’s point of view and start to sort them into descending order. Place the feature or component that you believe customer’s value the most at the top. (If you’re not sure, go with your gut feel. You can always test this with a customer survey or study later). Repeat this for each one all the way down to the feature or component that you believe they value the least. 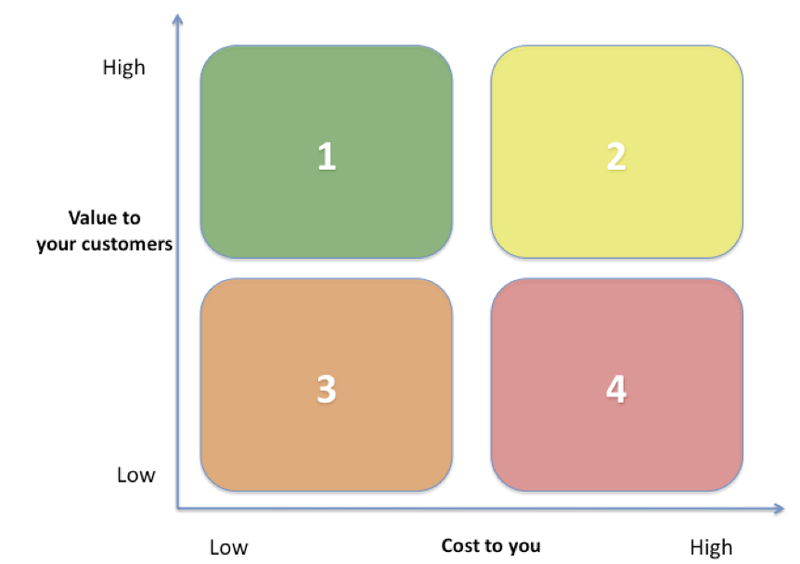 Ok, now consider how much each feature or component costs you to produce and place each post-it note in one of the four boxes shown in figure 2 below. Above, the Aston Martin One-77. Priced at £1.2 million no “B” surfaces were allowed in the design brief. If you’ve only got items in box one then please drop me a note at nick.willis@thebetahub.com as I would love to hear your story of how you achieved lean nirvana. Chances are you’ve got a mix across all of the boxes? And maybe a surprising number in box number four? These should become your focus, and anything you can do to eliminate them or at least reduce them will go straight to your bottom line. Now for the really scary part. If you’ve got time repeat the process but this time list out all of your “B” surfaces i.e. all of the stuff that your customers don’t see, touch and interact with as part of their experience. I’ve seen examples of this, where the cost of the “B’s” outweighs the “A’s”. This is a great way to identify some areas of potential waste and improve your bottom line. To round off this post I want to share a short story from my childhood. In 1988 my Dad got a new job and a promotion to Area Sales Manager. As a result he got to choose his new company car. His previous car was a ford, but his new company had a policy that only allowed German cars. I was very excited by this prospect. At first glance the 520i BMW looked surprisingly good value compared to his previous car, and if we had been private buyers the attractive sticker price would have been enough to get us into the showroom. Then we checked the standard equipment list at the back of the brochure. It became a standing joke in our family for years afterwards – alloy wheels, metallic paint, even the radio cassette player was an optional extra! Another example of less is more?